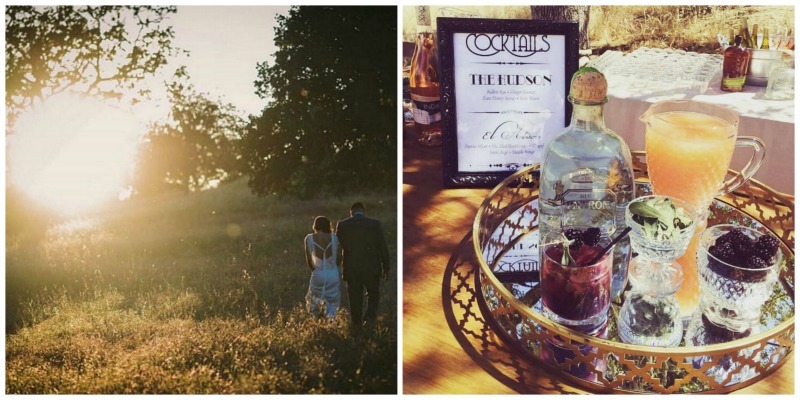 Your hosts at Rancho Dos Amantes, located in Paso Robles, California, truly do it all. There are the TWO farm gardens, goats and chickens, and cooking experiences in their Red Barn Kitchen. 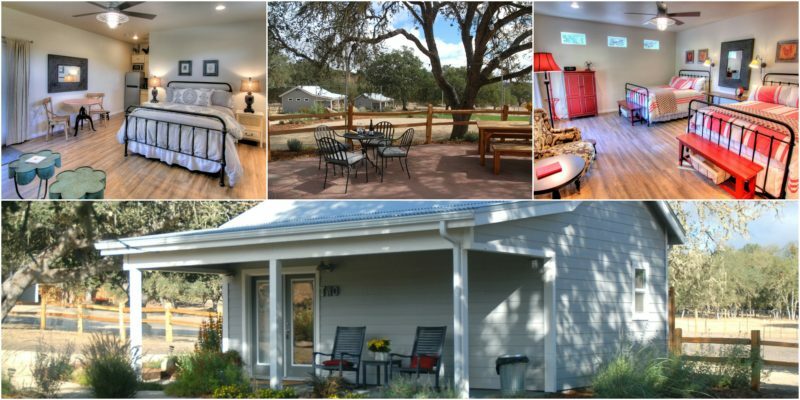 Wedding parties can rent out the entire 40-acre ranch (also available to family reunions, corporate retreats, group getaways and so on), and, last but not least, there is the Farm Stay B&B! Guests at Rancho Dos Amantes can choose to stay in one of the two casitas or in a private 2nd floor studio apartment with full kitchen inside the barn. 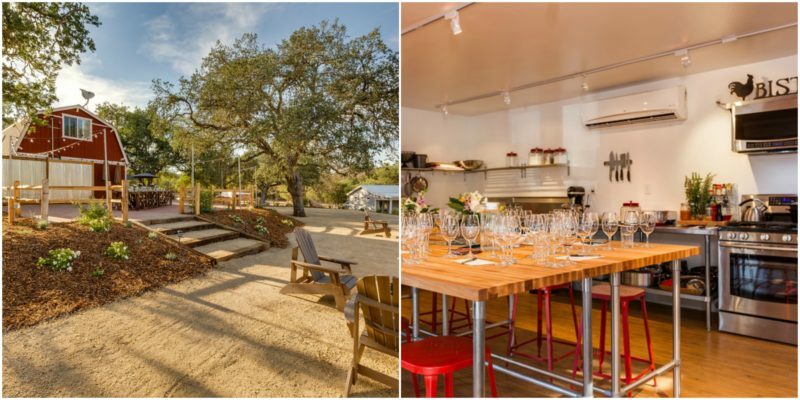 The barn also houses a professional kitchen downstairs, which is not only used for cooking experiences and private events, but is available to all guests renting casitas. With access to the large guest garden and this kitchen, you might never want to leave! 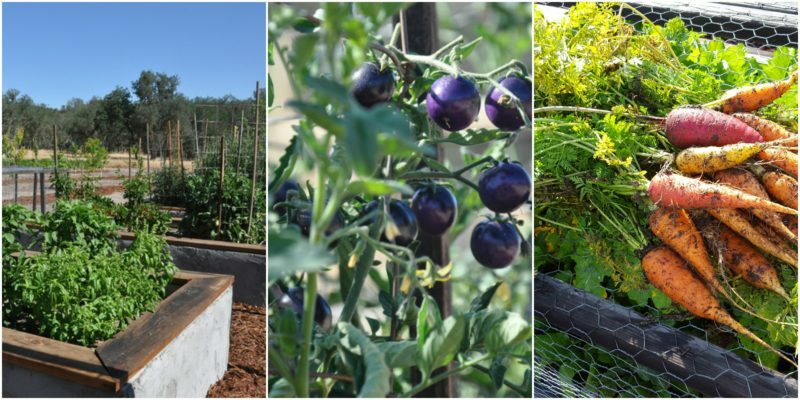 The guest garden features fruit and olive trees, raised beds and in-ground crops, flowers, and a two-tiered patio for relaxing and socializing. Tucked between Lake San Antonio and Lake Nacimiento, Rancho Dos Amantes is part of a vibrant community in and around Paso Robles. With over 200 local wineries, plus shopping, breweries, farmers’ markets (two! ), dining, and entertainment, guests will never be short of something to do — if they can tear themselves away from the farm, that is. Day trippers can head to the coast and tour the famous Hearst Castle or visit the beach towns of Morro Bay, Cayucos, Cambria, and San Simeon. Finally, we must mention the weddings. What a backdrop for a wedding! Just take a look at the farm’s photo galleries: Venue Gallery and Wedding Gallery (both links will take you to their website). By renting out the entire ranch to the wedding party, guests are assured a private and comfortable celebration in a beautiful setting. To learn more about Rancho Dos Amantes, visit their listing here on Farm Stay USA, and then head to their website to start planning your California getaway! Photos provided by Rancho Dos Amantes.